The first whiff of an effort to acquire a new batch of 155mm howitzers came out in Timawa discussions in October of 2008. Reportedly the project at that time was incorporated into acquisition plans at the expense of a number of other projects to include armored vehicles. 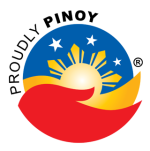 Official acknowledgement of the project in Philippine media did not occur till January of 2011, when Defense Assistant Secretary Ernesto Boac revealed the existence of an effort to acquire six 155mm howitzers at a cost of P186M for the Philippine Army, and a P230M effort to acquire two units for the Philippine Marines. The acquisition is for the towed-howitzers only. The original project (presumably the effort reported in 2008) involved the tubes, ammunition, and the 5-ton trucks into a single acquisition project. However concerns that delays with one aspect of the project could result in delays for the rest of the project forced the Project Management Team (PMT) assigned to separate the acquisitions. Whether or not the Marine effort followed the original Army mold of buying all components (tube, ammunition, trucks) in a single effort is unclear. These will not be the first 155mm howitzers in Philippine service. According to SIPRI.org arms transfer database, eight (8) M114A1 155mm howitzers were acquired from the United States in 1972, and seven (7) M-68 Soltam howitzers were acquired from Israel in 1983. If this acquisition comes to fruition, it will be the first new 155mm tubes in over 28 years.